Property 15: For 2 pax, Great Seaview, in private Med garden, pool, tennis, parking close to home. Property 18: Your moment of relaxation in the countryside five minutes from the sea. 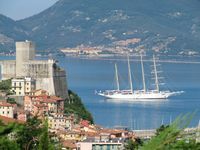 Property 31: Rental 5 Terre, Lerici, Portovenere, Versilia, PRICE ALLINCLUSIVE!! Property 32: Smile home in the historic center of the city. Property 44: THE SEA IN FRONT. Portovenere and 5 Terre. Free parking.